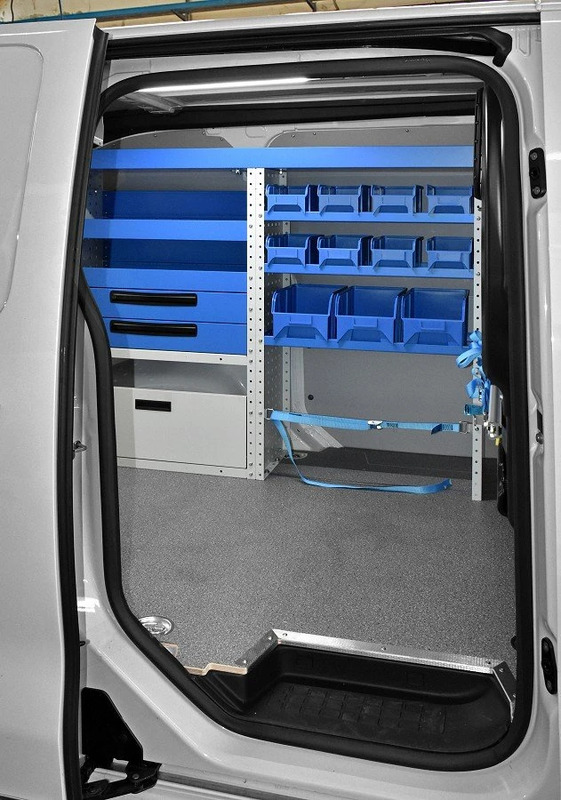 The Expert is the new medium size van from the French manufacturer Peugeot. The Peugeot Expert proved highly successful after its launch in 1996. The second series was introduced in 2007 and saw a radical change in lines, with a squarer body more like that of alternative vehicles in the same segment. 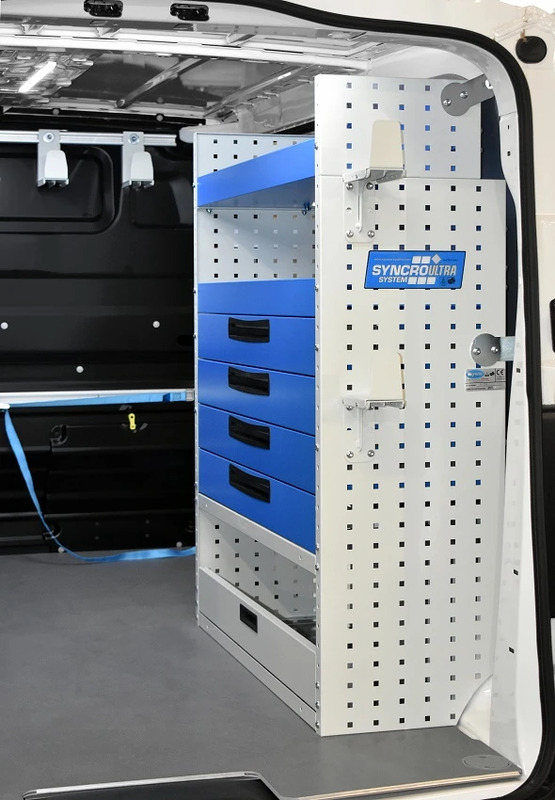 The current version was launched in 2016 and boasts a large load compartment for the van’s size, with a regular shape that makes it ideal for the installation of Syncro System racking. 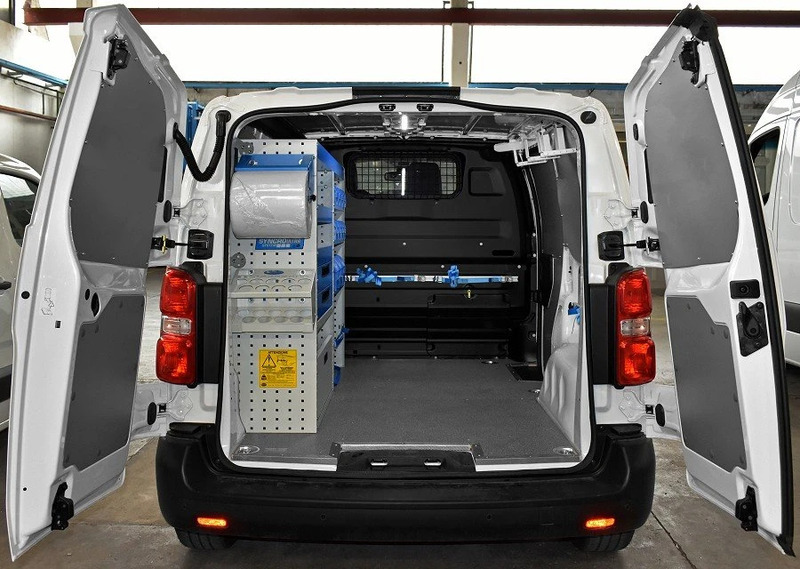 Lighter, stronger and more practical than ever, the 2016 Expert is based on Peugeot’s latest modular chassis concept. 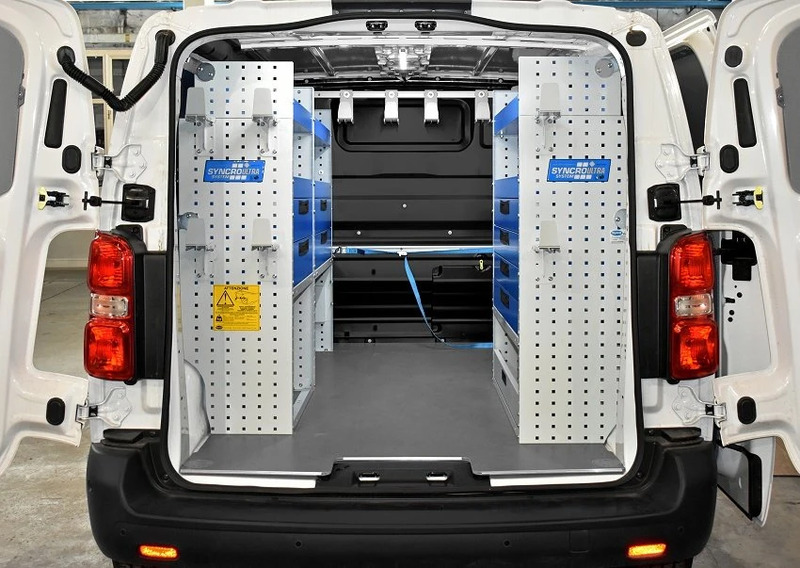 The panel van comes in a choice of 3 sizes: a brand new compact version of only 4.61 m, the standard version of 4.96 m and a long version of 5.31 m.
A low overall height of only 1.9 metres allows this van to enter even low headroom garages. 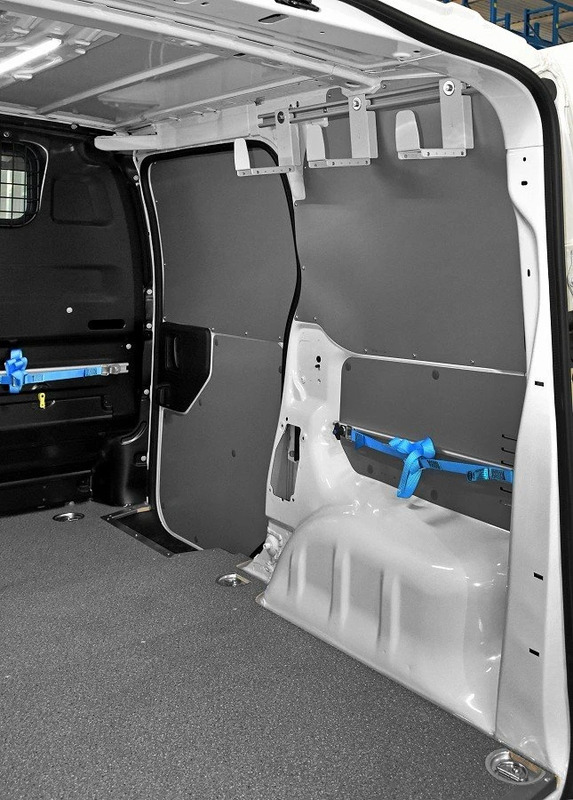 Let’s look more closely at the racking installed over the left wheel arch and along the right side wall of this 2016 Peugeot Expert. 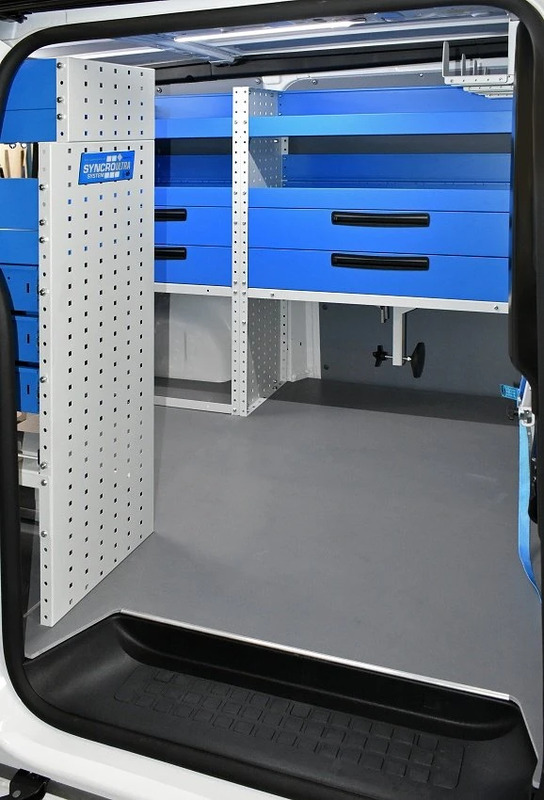 The left side wall is fitted with a wheel arch cabinet with a fully closing door, six metal drawers with automatic locking and a top shelf. 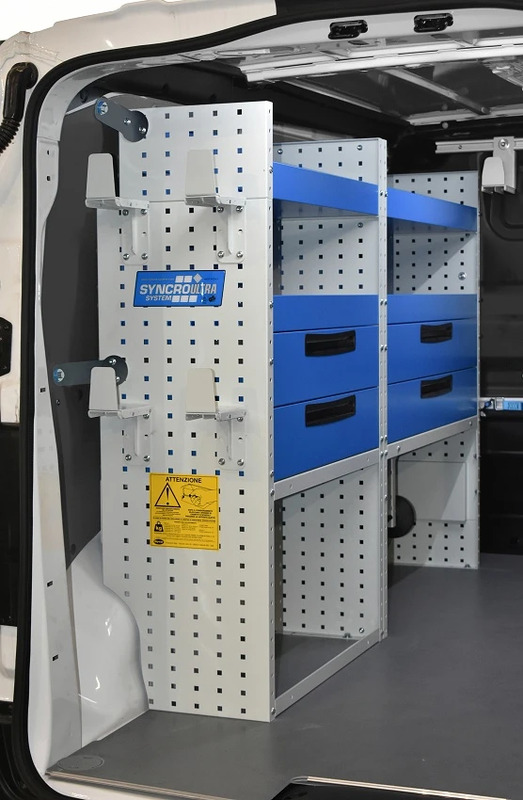 The right of the load compartment is equipped with a wheel arch cabinet with door and reduced depth cabinets of transparent plastic containers. 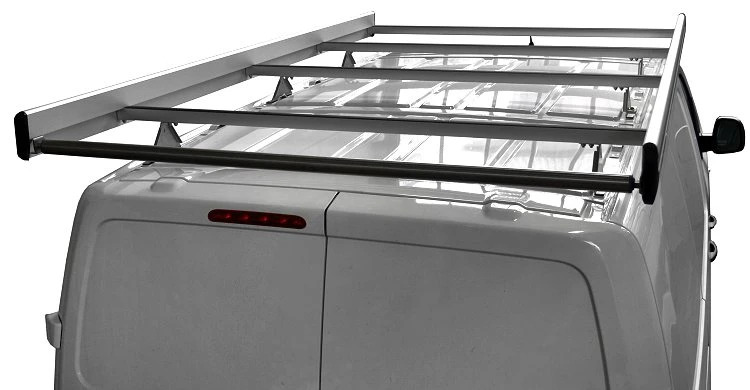 Syncro’s transparent containers are made from the same super-tough material found in aeroplane and submarine windows. 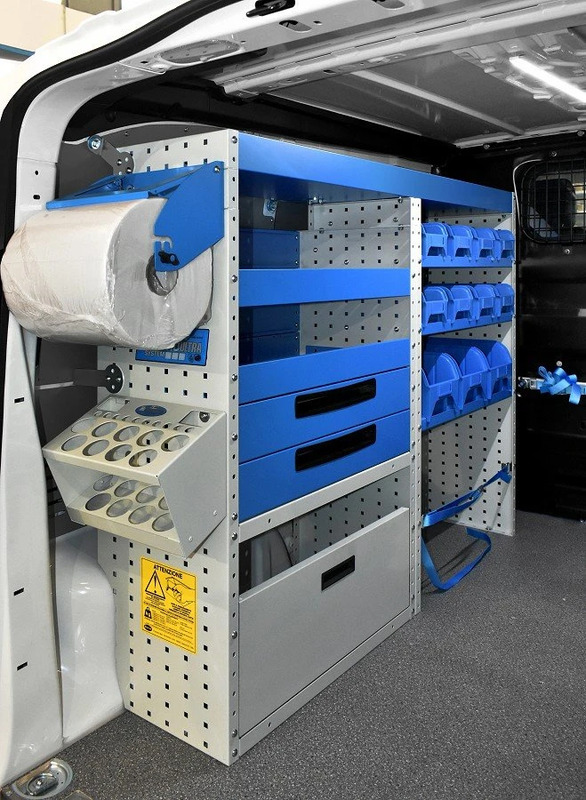 These beautifully practical storage elements offer a clear view of contents and allow the right parts and materials to be found immediately. The compact containers shown here have been chosen to leave plenty of free space in the middle of the floor. 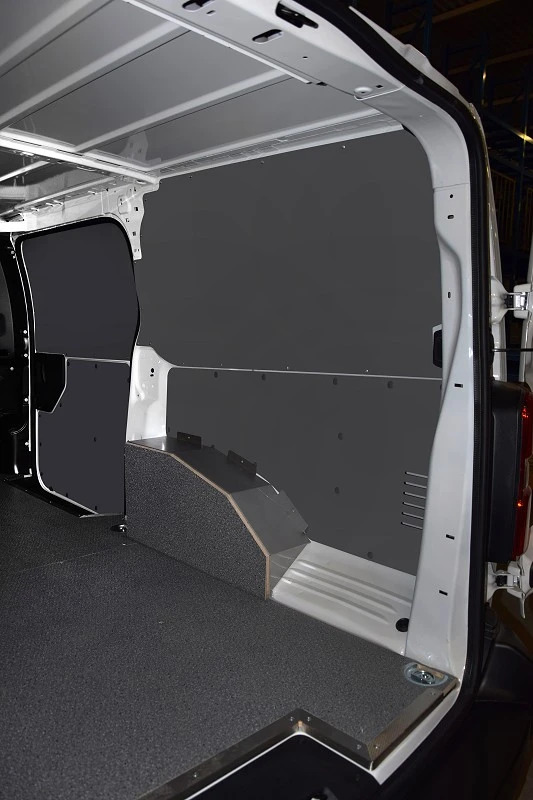 The Syncro catalogue also contains a wide range of interior floor and body liners, wheel arch covers, window safety grilles and other accessories to protect your van’s bodywork against impacts by heavy cargo. 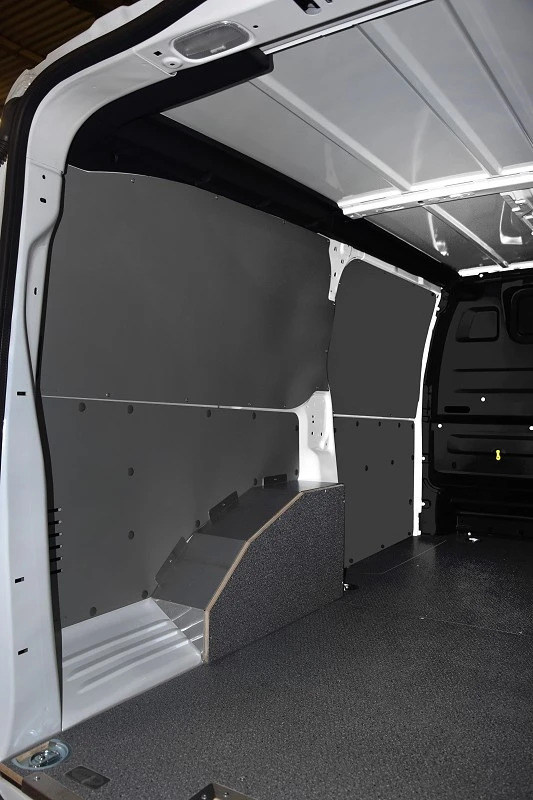 Liners are made from tough but lightweight materials: plywood, plastic or aluminium. All liners come pre-cut and ready for quick and sure installation. 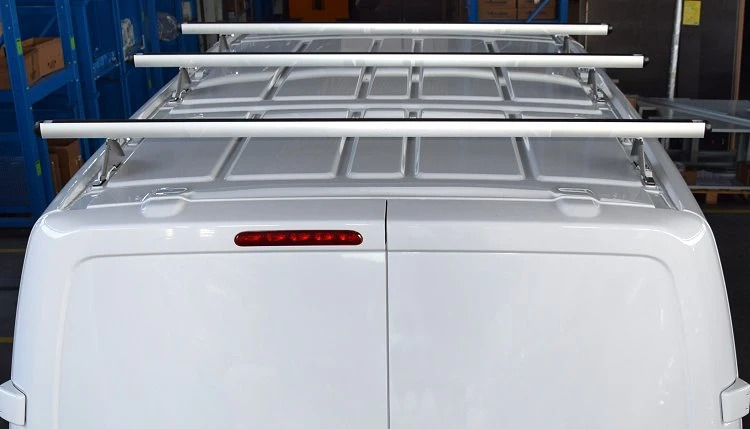 To fully exploit the space on top of your van’s roof, Syncro also produces a complete range of roof racks and ladder racks for the Expert.